JSSC Recruitment Notification 2017 issued for 3694 Amin, Lower Division Clerk, Panchayat Secretary & Stenographer Posts. Candidates who completed their Intermediate/ Higher Secondary Education can apply for these JSSC Jobs. Aspirants can apply for this Jharkhand SSC Inter Level Recruitment 2017 through the official Site. On this Page, we provided Complete information of Jharkhand Staff Selection Commission Notification like JSSC Vacancy details, Eligibility Criteria, Application Process, Selection Process, Result etc. The Candidates who are looking for the Jobs in Government Sectors in the State of Jharkhand, this is the best opportunity to apply. Because Jharkhand Staff Selection Commission has recently released a notification for recruiting Rajasva Karamchari, Amin, Ganak, and Kaniya Kshetriya Anveshak posts. For this, the officials will conduct an exam named Jharkhand Intermediate Standard Combined Competitive Examination 2017. The Jharkhand SSC will release various notifications frequently. Recently it has completed the recruitment process of LDC, Panchayat Secretary, and Steno posts. Now it came up with Jharkhand ISCCE Exam Notification 2017 for filling the vacancies of 886 posts. Hence the officials will select the candidates based on their performance in this JSSC Recruitment 2017. The officials of Jharkhand SSC are providing you a chance to forward your applications from 22nd June 2017 to 26th July 2017. Before applying for this Jharkhand SSC Inter Level Recruitment 2017, one must ensure they are eligible for this exam or not. So, check the Age limit and qualification required for the JSSC ISCCE Notification 2017 below. Postulants must have passed 10+2/ Intermediate from a recognized board. Post Name Amin, Revenue Employee, Lower Division Clerk, Panchayat Secretary and Stenographer Jobs. The above table contains the brief information of Jharkhand SSC ISCCE Notification 2017. The vacancies of this latest JSSC Recruitment 2017 are Amin, Rajasva Karamchari, Lower Division Clerk, Panchayat Secretary, Stenographer etc. From this Article, you can check No. of Vacancies, Application important dates, Applying Process etc. The officials will select the candidates of JSSC Revenue Employee Amin Recruitment 2017 based on their performance in the following rounds. Written test (Prelims & Mains Exam). For General/ OBC Category: Rs. 460/-. For SC/ ST Categories: Rs. 115/-. All the selected candidates of JSSC ISCCE Notification 2017 will get a pay scale of Rs. 21,000 to Rs. 50,200/-. Starting date for filling JSSC Amin Online application: 22nd June 2017. Last date for submission of application form: 26th July 2017. How to Apply for Jharkhand SSC Recruitment 2017? Candidates need to access the official Site of JSSC i.e., www.jssc.in or direct link attached below. Find the relevant JSSC Notification for Amin, RE, LDC, Panchayat Secretary, Stenographer Link and Click on it. Read Jharkhand SSC Notification clearly before applying. If you are eligible to apply for these Jobs, click on JSSC Online Application for ISCCE-2017. Fill the Application Form with correct details and Pay the Application Fee through Online. After completion of JSSC Registration Process, submit the form before the Last Date. Finally, take a printout copy of Jharkhand SSC Online Application for further use. For more details about this JSSC Recruitment 2017, refer the official notification given below. Jharkhand Staff Selection Commission (JSSC) has released a Notification for the unemployed candidates. Therefore aspirants who completed their Intermediate/ 10+2/ Higher Secondary Education and searching for Government Job can apply for this JSSC Recruitment 2017. This Notification is issued to fill the Vacancies of Lower Division Clerk, Panchayat Secretary, and Stenographer Positions in various Locations. In this Notification, the Jharkhand Government specified the 2808 Job openings in the Staff Selection Commission. Aspirants who are willing to apply for these JSSC vacancies need to check the Eligibility Criteria. The Online Application Process of Jharkhand SSC Recruitment will start from 2nd May 2017. All the Interested and Eligible candidates should apply before the Last date i.e., JSSC Online Application Form for LDC & Panchayat Secretary Posts will close on 15th June 2017. For more details of JSSC LDC Recruitment 2017 Apply online can visit the official Site www.jssc.in. Before applying, applicants have to fill JSSC Registration Form. And also can check the complete details of Jharkhand SSC Panchayat Secretary Notification which provided in this article. 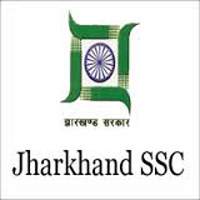 The Jharkhand Staff Selection Commission was formed on 2008. Jharkhand SSC is the only constitutional body which is responsible for the selection of candidates to fill various government posts by conducting examinations and interviews. Recently, it has announced a notification regarding JSSC Recruitment 2017 of 2808 Lower division Clerk, Panchayat Secretary, and Stenographer Posts. Therefore candidates who are looking for Government Jobs in Jharkhand can use this golden opportunity. Read the entire Post and get complete details of Jharkhand SSC Recruitment 2017. Here are the JSSC New Vacancy details mentioned in the below table. Aspirants who are willing to apply for the JSSC Jobs need to check the Eligibility Criteria. Eligibility Criteria contains Age Limit and the Education Qualification. So here we provided the Age Limit and Qualification details which are required to apply for Jharkhand SSC Recruitment 2017. Applicants should have the Age Limit to apply for this Jharkhand SSC LDC Notification. The Minimum and Maximum Ages are mentioned below according to the Posts. Note: The upper Age Relaxation is applicable as per the official Notification. So visit the official site of Jharkhand SSC i.e., www.jssc.in and check the complete information regarding the JSSC Jobs Eligibility. Applicants must complete their Intermediate/ 10+2 from a recognized university/ Board in the State of Jharkhand. They should have a Typing Speed in Hindi with at least 30 wpm and should have the knowledge of computer. To know Post wise qualification check the official Notification which is attached below. Jharkhand SSC Recruitment 2017 of Lower Division Clerk, Panchayat Secretary, Stenographer Jobs details are provided here. Check complete details of JSSC LDC Recruitment 2017 from the below sections. After completion of Jharkhand SSC Selection Process, they will be appointed for LDC, Stenographer, and Panchayat Secretary positions. For those candidates will get a Pay scale according to their Jobs is as follows. All the applicants will be shortlisted based on their Performance in the following tests. Computer Proficiency or Typing Test. Aspirants should pay the Application Fee/ Exam Fee according to the Category wise. SC/ ST Category candidates should pay the Application Fee of Rs. 115/-. And other candidates have to pay the Application Fee of Rs. 460/-. The JSSC Online Payment of Examination Fee can pay by using the Payment Gateways. Last date to Apply for JSSC Recruitment/ JSSC Clerk Jobs: 15th June 2017. JSSC LDC/ Panchayat Secretary/ Stenographer Jobs Exam date: update soon. Candidates who are willing to apply for the JSSC Recruitment need to fill the Online Application Form. Aspirants who Submitted the Jharkhand SSC LDC Online Application Form before the Last date. The Starting date for JSSC Registration for LDC, Panchayat Secretary Jobs i.e., on 2nd May 2017. And the Last date to fill the JSSC online Application is 15th June 2017. Here is the complete Process to check How to apply JSSC Panchayat Secretary Recruitment 2017 Vacancy. For more details of JSSC ISCCE Exam Application read the official Notification attached below. Check Step by Step Procedure to apply for Jharkhand SSC Jobs mentioned below. How to apply for JSSC Panchayat Secretary/ LDC Jobs? All the eligible candidates can apply online for these JSSC Panchayat Secretary Jobs through the official website, i.e., www.jssc.in before the last date. Click here for Instructions to apply online. Candidates who successfully Submitted the JSSC Vacancy 2017 Online Application Form can download the Admit Card Now. The Jharkhand Staff Selection Commission has issued the JSSC Combined Competitive Exam Admit Card for LDC, Panchayat Secretary, and Stenographer Posts. To take part in the JSSC ISCCE 2017 Examination, applicants must download the JSSC Admit Card and should carry to the Exam Center. The Hall Ticket/ Admit Card contains the details of JSSC Exam Date for CCE (Intermediate Standard), Exam Center, Timings etc. Without the Admit Card, they are not allowed into the Exam Hall. So don’t forget to carry the JSSC Combined Competitive Exam Admit Card along with you. Computer Proficiency or Typing Test: For this Examination, Applicants should have a knowledge of MS word, MS Excel, and PowerPoint. Skill Test: Hindi Typing (30 words per minute) and Hindi Alphabets (80 letters per minute). English Typing (40 words per minute) and English Alphabets (100 letters per minute). The Candidates who fulfill the Eligibility Criteria may Submit the JSSC Recruitment 2017 Online Application Form. The JSSC Registration Dates from 2 May to 15 June 2017. Applicants are advised for JSSC Apply Online through official Site www.jssc.in. Only JSSC ISCCE exam application submission through Online is Valid and no other mode will be accepted. In this article, we tried to provide you the complete information regarding Jharkhand SSC Panchayat Secretary Vacancy 2017. For more details visit our site www.entranceexams.io regularly. On this Page, we update detailed information on JSSC Vacancy 2017 details. Can candidates belonging to other states may apply for this job? ?plzzz reply. Is a candidate from Kerala, possessing all qualifications, as per the above notification of JSSSC,eligible for applying for the post of LDC/ Pachayat secretary?